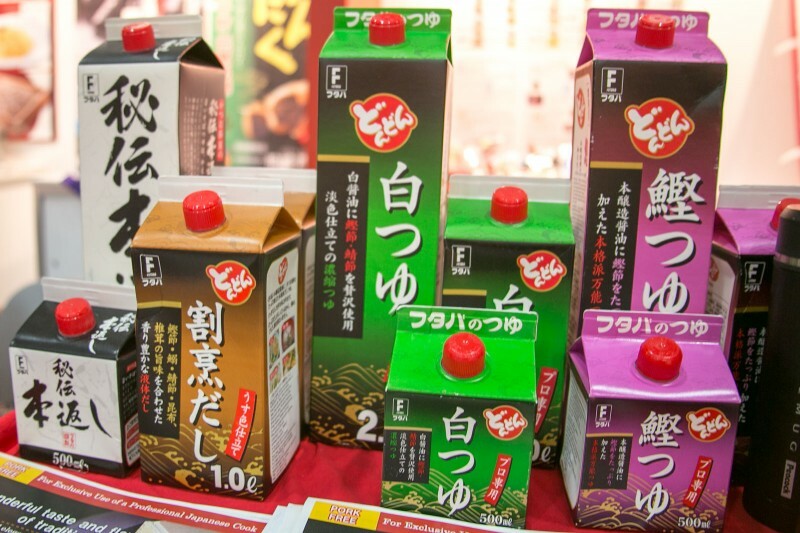 One of the interesting things I came across while at the Fancy Food Show, were a couple of interesting Japanese products that make cooking easier. I am fan of Japanese cooking, and since we have the awesome Hana Japanese Market around the corner I have no excuse for taking shortcuts. That said, it is better to take some shortcuts and still cook something, instead of just microwaving something. This is very true when it comes to Dashi, the Japanese broth that serves as the base for many dishes. To make it yourself, you brew seaweed and bonito fish flakes. Like so many Japanese cooking techniques, there seems to be an infinite number of precise actions that need to be taken to make the perfect broth. Needless to say I have only done it once myself, and it wasn’t much better than the powder soup base I use. All of this is why I was excited to find this concentrated soup base, made from all of the realÂ ingredientsÂ you would normally add. There were two type, Katsutsuyu and Shirotsuyu. Depending on the recipe you are making, you dilute it and using a differing amounts of water and use it as the base. Since I am lazy, I just used it as a broth for Soba noodles, which was quick and easy to pull together. The are a lot of better recipes here. 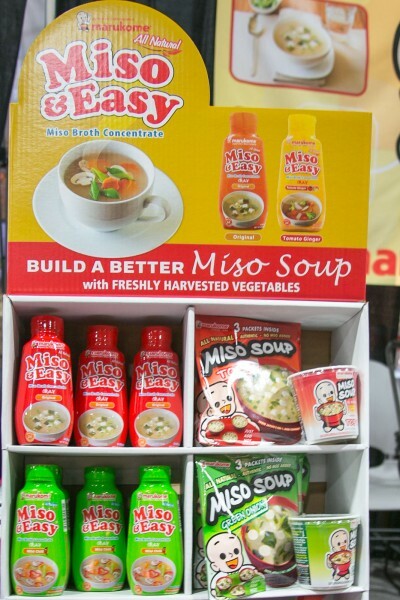 Another interesting product was Miso & Easy, which is a miso broth concentrate. Essentially it has the miso mixed with a little water and dashi in a covienent squeeze bottle. It of course makes it easy to make soup, but it also is great for a sauce on chicken, or pasta or in a salad dressing. It may not be too popular in the US, but there is a Japanese style of curry. It is a bit more mild than Indian curry and the sauce seems a bit meatier, almost like a gravy. While it may seem a little questionable, the ready made curry I tried was actually really good. It comes in a pouch with vegetables already in it. You just heat and pour over rice. Better yet, it should retail for about $1.50 or so. I haven’t seen it in stores, but I am going to stock up when I do. Bit of a late response but I love Japanese curry. Occasionally I use the ready made if I need a quick lunch but I love and have gotten my mom hooked on the instant roux. 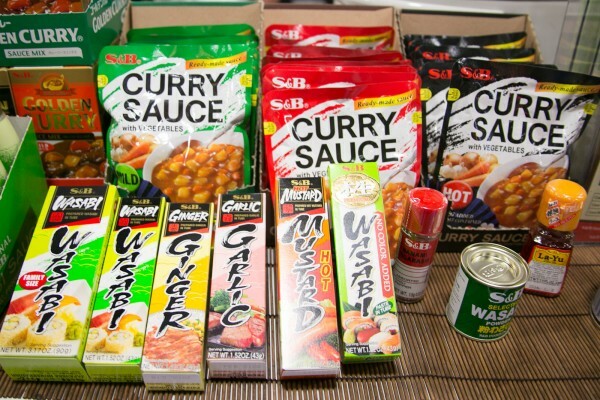 In the picture on the bottom that box on the left marked Golden Curry is an example. You brown the meat, simmer the vegetables and then break the roux blocks into the water and let it simmer another 10 minutes or so and you have a nice, thick curry! We usually do pork but have been known to do beef or chicken and even left over Thanksgiving turkey cut into cubes and added during the final simmer.